As I write, we are waiting nervously for the result of the European Union elections. Well, “nervously” is perhaps putting it a bit too dramatically. Things happen slowly in Europe. 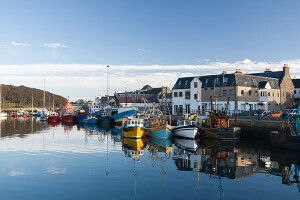 It’s taking us four days to vote but by Sunday night we will know the colours of most of the 751 MEPs – though the final Scottish result will be delayed till Monday because the Western Isles will not be counting its votes until the Sabbath Day hath ended. Then, curiously, we will not be analysing the figures for what they tell us about how Europe handled the recession or how it’s going to reform the financial industry or tackle immigration or climate change, or any of the other issues that need a continental solution. No, instead we will be wondering if the SNP is going to win a third seat in Brussels and whether the Liberal Democrats will lose out to the Greens or Nigel Farage’s waspish little party. This is a pity because these large continental issues deserve to be debated and resolved. How else are we to protect the environment or ensure a fair market, or avoid a race to the bottom on working hours, safety standards, taxation etc except through the European Union ? But, for the moment, I suppose everything has to be seen through the brightly coloured prism of the referendum. The Church of Scotland staged a full blown debate on the issue at its General Assembly on Tuesday. There was lots of fine rhetoric but no vote was taken – wisely, since the Kirk, like the rest of Scotland, is deeply divided on Scottish independence. On Wednesday the Assembly revealed itself still divided over the issue of gay ministers. By 369 votes to 189, the Assembly decided to consult further on a compromise which re-affirms the Church’s opposition to gay ministers in principle but allows individual congregations to follow their own conscience and elect gay ministers if they wish. It’s been a divisive old week. The Scottish parliament was divided – the SNP versus the rest – over the future of the health secretary Alex Neil. 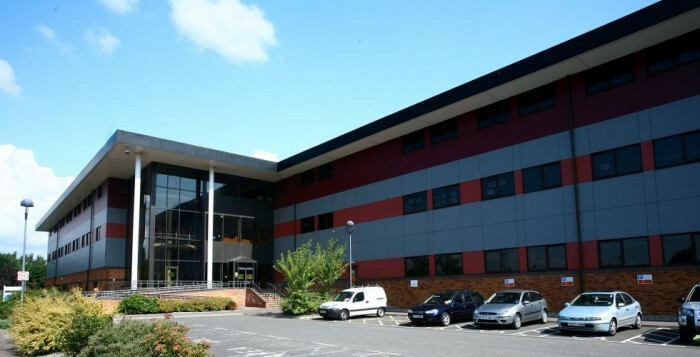 The opposition parties accused him of favouring his own constituency by “ordering” the local health board to retain two mental health wards at Monklands Hospital in Lanarkshire. Mr Neil said he’d left the decision to his deputy and the SNP’s majority in parliament made sure the motion of no confidence, the first for 13 years, was defeated by 67 votes to 57. 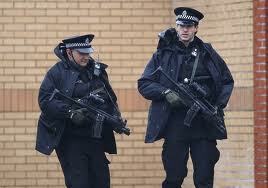 Did you know that there are 440 police officers in Scotland authorised to carry guns ? And they do so on routine patrol. It seems a lot, for a police force which is supposed to be unarmed. The disclosure by Police Scotland has caused alarm among politicians and human rights groups who say it’s not setting a good example. Happily, the police officers have little to shoot at. Gun crime is at its lowest level for 30 years. Scotland is doing well in the happiness stakes this week, despite all the political divisions above. Inverness is hosting a Happiness Festival this weekend, parading the best of British comedy. It has also come second top in a survey of the happiest towns in Britain by the on-line housing agency Rightmove. Falkirk, it reckons, is the fifth happiest town. Harrowgate in Yorkshire came first with great ratings for friendliness, safety, fine open spaces, good house prices and pride in their community. And the worst place ? East London. Don’t even go there. Two men who chuckled all the way to their press conference on Thursday were fishermen Jim Reid, aged 75, and his grandson David Irvine, aged 35. They were telling their story of being found after two days lost at sea off the Aberdeenshire coast. 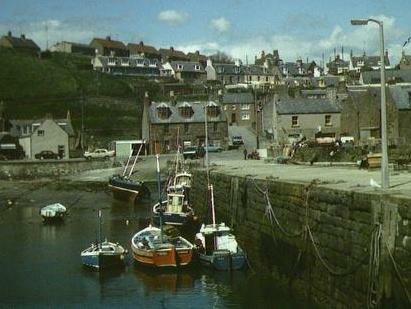 They set off in their 16ft creel boat from Gourdon harbour on Tuesday to collect a few lobster pots. But, in thick mist, their compass broke down and gave them a false reading. They headed east instead of west and ran out of fuel 50 miles offshore. A huge search was mounted but no one thought to search so far out to sea. The two men said they’d survived on a flask of tea and two biscuits and cursed each other till eventually they attracted the attention of a passing fishing boat. Miracles do happen…even in the North Sea. They happen in Perth too. Because, for a moment last weekend, it must have overtaken Inverness as the happiest town in Scotland when the home team St Johnstone paraded the Scottish Cup through the streets of the fair city. It was the first time they’d won anything in their 130 year history. Over in Glasgow, Neil Lennon is happy enough with his silverware. But he announced on Thursday that he was leaving Celtic after four years in charge. Apparently he felt he’d taken the club as far as it could go in the shallow waters of Scottish football and he’s off to swim with bigger fishes. So where does that leave Glasgow in the happiness stakes ? That depends on the success of the Commonwealth Games which this week finally sold its last 100,000 tickets. I can exclusively reveal that the opening ceremony will include a sequence in which the Queen and Sir Sean Connery will drop by parachute into the arena singing “I belong tae Glasgow” accompanied by Mr Bean on the keyboard. Now that would make me happy. Scotland is home to some of Europe’s oldest universities, and the sector plays a key role in the economy there. But what impact would independence have on it? This week academics have been doing battle over the future of higher education research funding in an independent country. A recent Scottish government report claimed that the current joint funding arrangements between Scotland and the rest of the UK would be maintained after independence. But the UK government has ruled this out. Rival camps of academics on unionist and nationalist sides have been writing to Scottish newspapers over the issue. We asked two of our panellists for their views. All is not well with higher education in the UK. For example the line that the UK government has taken on immigration is regressive in universities. If you are making it more difficult for students to come to study in the UK, that creates a problem because the fees paid by international students are a major source of university income. Increasing the international student population is a key component of universities’ strategies to generate more income. You might argue that if an independent Scotland was more welcoming and open to those students, that might generate income that is not there at present. But that does assume that those students would come here rather than to English universities. There’s a lot of talent in Scottish universities. Our top universities rank highly in the international league tables. I can’t see that changing dramatically in an independent Scotland. Our research-intensive institutions will continue to prosper whatever lies ahead. But if the cake did become slightly smaller after independence, what would that mean for the sector as a whole? Would everyone get an equally smaller share? Would money flow to the top universities to protect their standing in the international arena? That has to be a real possibility. I don’t think Scotland would want to weaken what are significant drivers to the economy and beacons for its standing in the global arena. Many supporters of independence see it as an opportunity to address enduring inequalities. But you might end up with a situation where higher education pulled in the opposite direction – drawing money from less research-intensive institutions. There’s no evidence to suggest that might be the case, but we should be alert to it as a possibility. 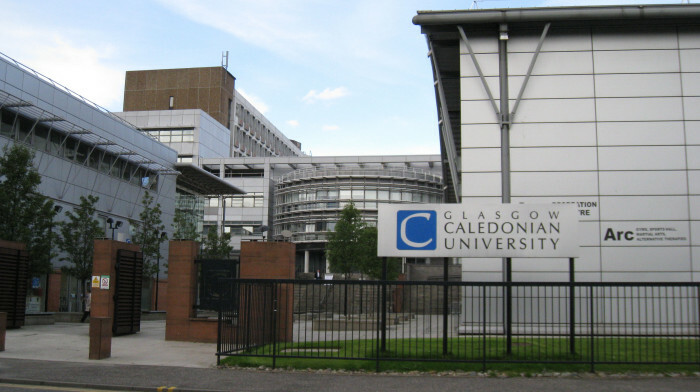 So what’s the vision for Scottish universities in an independent Scotland? To what extent will be prepared to adequately fund those institutions that have proven to be so successful at facilitating widening participation? Will the principle of free higher education at the point of delivery be a cornerstone of our educational system? Are we sure that it is in the national interest to sustain a system that generates such high levels of personal debt for young people at the start of their working lives? Not much attention is being paid to these issues at the moment. The Scottish government paper suggests that there will be greater fiscal levers available to support research in higher education. But if an independent Scotland were to enter a currency union with the rest of the UK, as is presently favoured, then monetary policy would continue to be determined in London. This would mean that the burden of economic policy in Scotland would fall on fiscal policy. Those fiscal levers will be subject to many competing demands. The report is right to say that the main source of sustainable economic growth is technological progress. And research by universities is key to driving this process forward. The report makes much of academics determining which research gets funded and continuing research assessment through the REF (Research Excellence Framework) process, with the government setting research priorities set by research councils. While it is understandable that governments wish to have this input given the taxpayer contribution to higher education, it could perhaps be argued that the balance has shifted too far towards these thematic priorities and away from genuine blue-skies research. The measurement mechanism inherent in the REF process tends to skew research towards the measurable and to meeting particular targets. As well as being a time-consuming process that diverts activity away from research and teaching, it also slants activity in universities towards research. This is possibly to the detriment of teaching, which is also a core part of universities’ role in driving economic growth. The government report is right in its assessment of the damaging effect of the UK’s immigration policy –- not only in terms of signalling that overseas students are not welcome, but also in denying to universities valuable sources of revenue during times when other funding sources are becoming tighter. The report says much about universities tapping into other sources of funding for research after independence. But EU schemes like Horizon 2020 have much smaller budgets available than previous schemes like Framework 7. This is against the backdrop of Scottish Funding Council funding overall roughly flatlining (despite increases in some areas like knowledge exchange). Overall, whether Scottish universities can continue to punch above their weight after independence very much depends on whether access can be maintained to current research funding. If universities have a funding environment that enables the very best researchers to be attracted to Scotland, there is no reason why current successes cannot be maintained. The downside risk would be if the post-independence financial position necessitated a greater degree of austerity in public spending. If this fed through into declining resource for university research, making the environment less attractive to world class researchers, then future prospects for economic growth may be put in jeopardy. 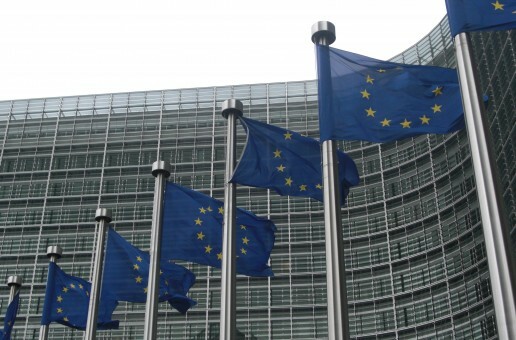 Scotland Decides ’14: who is right on EU membership? Europe is back on the agenda in Scotland. William Hague wrote to the Scottish government calling for a plan B in case EU membership is refused. I don’t think William Hague’s letter adds anything to the debate. He doesn’t say that Scotland would not be a member of the EU. That’s the most significant thing about this. It means we must assume that Scotland would be a member. It would be useful if the British government would just say that, as they have said they will recognise the referendum result. Then he’s talking about article 49 [general entry] versus article 48 [special entry by unanimous agreement]. This is really a technical matter. If there’s a political will, Scotland will be allowed in. The UK government’s position on the budget issue is quite incoherent. It’s true that the budgets from 2014 to 2020 are already agreed, but the UK share is for the whole of the UK not the remainder of the UK. The most likely outcome would be to divide the existing budget pro rata. The other states will not want to get into a fight between the UK and Scotland about that. As for after 2020, the big difficulty is the UK keeping its rebate, not Scotland getting a rebate. The UK is going to find it very difficult to do that if it is going to pick a fight with Europe over renegotiating the terms of membership and have a referendum in 2017. The idea that it will be able to keep all the rebate as well seems much more implausible than anything the Scottish nationalists are proposing. In fact, it’s rather dangerous for them to talk about the rebate at all. After 2020, the only friend that the UK would have over keeping its rebate might be an independent Scotland. The UK has to be able to argue there are special conditions that apply to the UK to justify the rebate continuing. It would enormously help the UK if Scotland were a member because it would mean that someone else was getting it too. London is just raising hypothetical problems and is evading the big question: would the UK support Scottish membership of the EU? Everything else can be negotiated. It’s more than likely that the other states would just follow the lead of the UK. 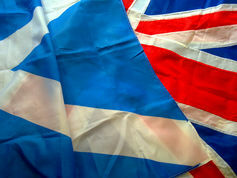 The Spanish government has said that Scottish independence is a matter for the UK and Scotland. They have not said they would veto it, so you have to assume they would agree to it. As far as the fishing issue is concerned, Salmond is effectively just taking the unionist position to its logical conclusion. If you are threatening to throw Scotland out of the EU, your fishing boats aren’t going to be allowed there. In any EU negotiation for Scotland, fishing is not going to be a particularly powerful card. The only other people that care are the Spanish. It may be part of a deal with Spain, but I don’t think it would be a dealbreaker. I think the Scottish Government now accepts that it will in some way have to apply for membership. It has suggested it might be possible to use the procedure under article 48 as opposed to article 49. But as I understand it, the article 48 procedure still requires the unanimous consent of all the members –- just as a Article 49 application does. So although the Scottish government is arguing that it is a way of facilitating Scotland’s membership relatively quickly, either option is going to require at some point the acquiescence of all existing 28 members. This has implications that are not always appreciated. One is that if one accepts the argument that the rest of the UK would be the successor state, the UK will have a veto on the terms of Scotland’s membership. One knotty issue is the UK budget rebate. Nobody will wish to unravel and reopen the EU settlement through to 2020, and from the EU point of view the easiest solution might be for Scotland and the UK to agree on how to divvy the rebate up. Obviously this could still lead to problems between the two sets of negotiations. But after 2020 Scotland would probably struggle to maintain the rebate. Making it clear that would be the case might well be one of the ways that a country like Spain, facing demands for Catalan independence, might hope to show there is a price to pay for going it alone. The fact that Scotland’s membership is not automatic weakens its bargaining position to some degree. There will have to be a bit of negotiating and hand-holding to sell the political deal to the 28 members. You can see why some countries would prefer Scotland not to vote yes and you can certainly see that none of the states are going to say before the referendum that everything is fine. On the other hand there are the thousands of EU migrants whose current right to stay in Scotland rests on Scotland’s membership of the EU. It is sometimes argued that if Scotland was not allowed to maintain membership, those citizens would potentially have standing in the European Court of Justice to argue that the EU cannot just take away their rights as citizens. But the EU issue is largely irrelevant to the outcome of the referendum. Scotland is more europhile than England. Scotland would probably vote to stay in. But even so, the modal voter in Scotland would probably take the view that it would be good if Brussels was not so powerful -– a position somewhat similar to David Cameron’s. The Scottish people’s commitment to Europe is too weak to think that many are going to vote yes to avoid an EU referendum initiated by a future UK Conservative government or alternatively that they vote no on the grounds that independence potentially undermines the stability of Scotland’s membership of the EU. Michael Keating receives funding from the Economic and Social Research Council. 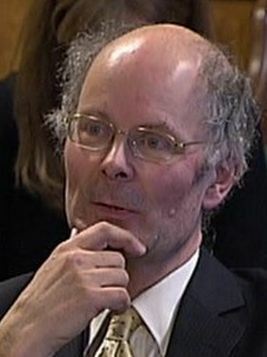 John Curtice does not work for, consult to, own shares in or receive funding from any company or organisation that would benefit from this article, and has no relevant affiliations. This being exam season, Alex Salmond faced a tough test in international relations this week. He travelled to Bruges in Belgium on Monday to spell out how an independent Scotland would be an enthusiastic and positive member of the European Union, unlike Mrs Thatcher who’d used her Bruges speech 25 years ago to voice the UK’s euro-scepticism. Unfortunately, his speech was overshadowed by two domestic difficulties, the price of alcohol and the living wage. Both are currently the subject of dispute in Europe. The SNP have argued that they are being prevented by EU rules from insisting on the living wage of £7.65 an hour in all public contracts. No so, say the EU mandarins. 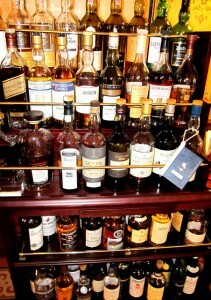 And on a minimum price for alcohol, the Scotch Whisky Association won a court ruling this week that will allow it to take its case against a minimum price to the European Court on the grounds that it is a restriction on free trade. For these remarks, out of context or not, Mr Salmond got a roasting from all three opposition leaders at first minister’s question time on Thursday. They said he was unfit to represent Scotland on the world stage. 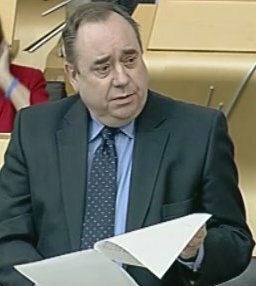 Mr Salmond stuck to his text as best he could and said he’d tried in vain to find anything at all the Scottish opposition parties had said about international affairs. The employers’ organisation the CBI is rather wishing it had not said anything at all about the Scottish referendum. Last week it faced a walk-out of its members over its decision to register as a “No” campaigner. This week, it said it had all been a mistake by a junior official in London. But its u-turn was not as spectacular as that of the other icon of modern capitalism Donald Trump. Last month he was saying he would no longer focus his investments on Scotland – because of the planned wind-farm off his Menie golf course on the Aberdeenshire coast. But this week he invested £35m in the championship course at Turnberry on the Ayrshire coast where Marine Scotland says there is a good wind-farm site just three miles off-shore. We could apply those words of wisdom to the scandal of how babies’ ashes were handled at the Mortonhall Crematorium on the south side of Edinburgh. A damning report came out this week from Dame Elish Angiolini detailing how for decades families had been told it was not possible to return the ashes of small babies. But it transpired they had been buried secretly or swept up with the ashes of adults cremated around the same time. The first minister told parliament that the practice had now changed and that the 250 families concerned were being offered counselling. Futhermore, a more wide-ranging report was being drawn up by Lord Bonomy, covering crematoriums elsewhere in Scotland and legislation would follow, spelling out how the death and burial or cremation of young babies should be handled. We learned this week that Scotland’s population continues to grow. There were more births than deaths last year and a net inflow into the country of over 10,000 people. There are now 5.3 million of us, the highest number on record. The beaver population is also growing. There are now 19 living in Knapdale in Argyll in the Scottish Wildlife Trust’s official re-introduction programme. 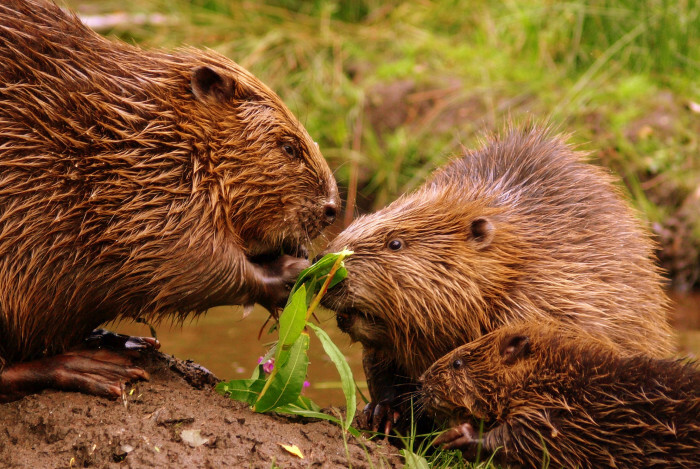 The experiment began five years ago with 17 beavers brought over from Norway and a survey has found that 60 per cent of humans questioned supported the idea. However, landowners in Tayside – where there are thought to be 150 unofficial beavers – are not so keen. Finally, let us praise Britain’s longest-serving post mistress. Mrs Esther Brauer has run the Kylesku Post Office in Sutherland for 61 years. She’s now retiring at the age of 83 because she’s having computer problems. Her little wooden post office over-looking the sea will almost certainly close, and with it a chapter of Highland history. 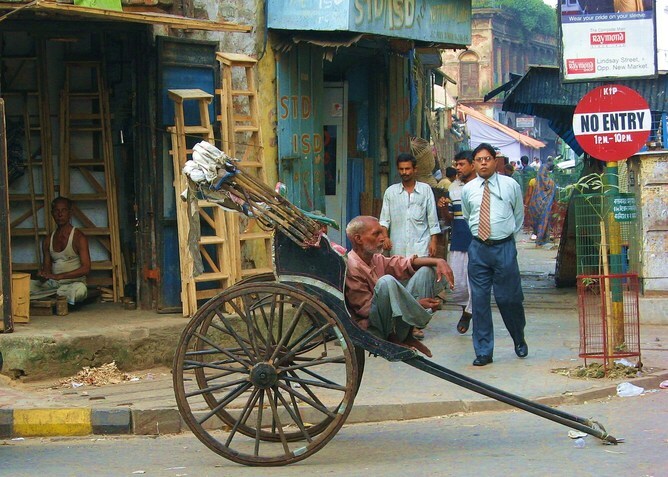 Kolkata may seem a long way from the Scottish independence referendum, but on a recent journey to the subcontinent the author and creative writing professor Kirsty Gunn found inspiration to consider the links between identity and nationality. 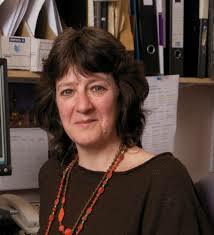 Here she pulls at the layers of Scottishness and Britishness to ask who the Scots really are. I am in Kolkata with the writer and musician Amit Chaudhuri, reading his book about the city while seeing it for the first time. It’s a fascinating thing to be doing, coming here, straight off the back of the independence discussion that is revving up back in Scotland. I heard James Naughtie’s piece on the Today show before I left – interviewing people on the streets of Auchterarder and Perth, asking them which way they were inclined come September. There’s an election looming here too, but what fascinates me, emerging out of a Scottish spring into a Calcutta summer, is the writers’ and artists’ takes on those issues of identity and national determinism that are starting to preoccupy the media. The writer, as Amit reminds me both in person and in his terrific book Calcutta – Two Years in the City, looks for answers to the questions “Who am I?”, “Of what parts am I constituted?” not so much in terms of political vocabulary as in other words, other sentences that are to do with aesthetics, culture, intellectual life and imagined notions of home. The place around us, what Amit calls “the this”, and how it plays upon our thinking, dreaming lives. This is the place we writers care about, not some politician’s utopia, or global economic model of an ideal society. 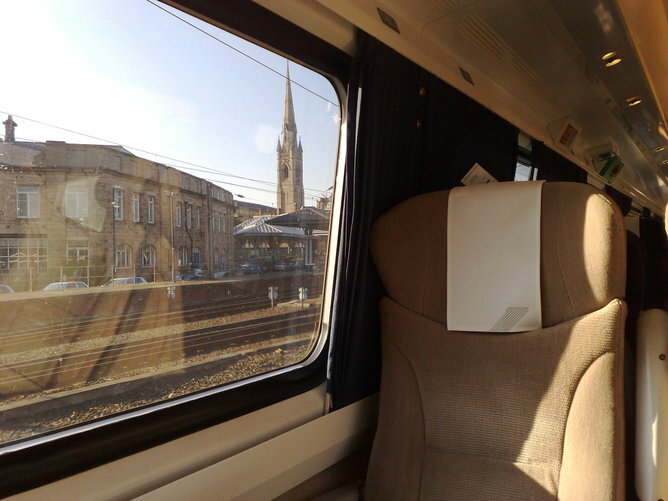 Travelling as I do all the time, between London and Scotland, forever on the train either going up or going down, coming up or coming down (the verb travels as much as I do), I make a point of asking whoever I’m sitting next to what they think of the forthcoming referendum. I do this not out of curiosity but as part of a sort of creative project. It is a way of helping me understand different ways of thinking about Scotland and what it means to be Scottish; and what it means to be me – a writer who has lived all her life between places, born in New Zealand but brought up to call Scotland home; who has a job in Dundee and a house in Sutherland but with daughters at school in Hammersmith in London; who has all kinds of different, shifting definitions of “the this”. But then the story comes out – the unravelling of some intricate family tale – a mother in Kircaldy with a daughter in Peckham; or a father who was born in Glasgow but has lived in Manchester all his life, his three children now all grown up and in Scotland keeping an eye on his elderly parents but he will never move. “I mean it’s complicated, isn’t it?” one woman told me. She sounded like she was from the east end of London but had been born in Inverness and had been living in Dundee for 20 years or so. All this information is rich pickings for the writer, of course. People and their lives, what they love about the place they live in, their town, their village, their country, what they long to embrace or run from, yearn for or fear … All of our rich complexity as individuals is celebrated in those individual stories of individual lives. “A separate country?” as the woman from Inverness – or is it London, or Dundee – said? As Calcutta is separate from Kolkata? Separate, really? Place carries divisions within it, of course: boundaries, territories, fiefdoms. Yet split between different ways of doing things, different ways of describing things, all places are riven but nevertheless also conjoined by differences. 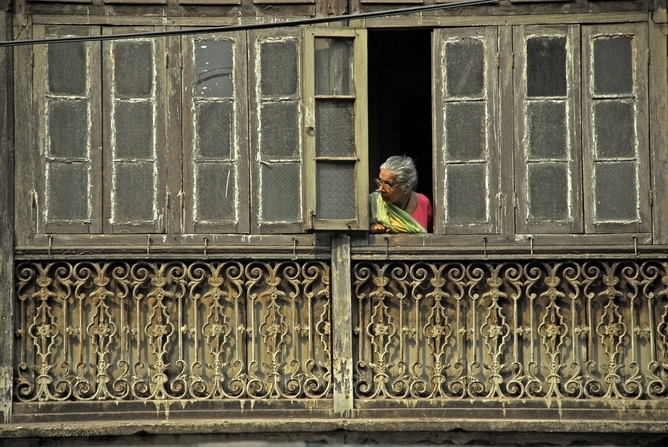 Here’s old Calcutta with its crumbling mansions and narrow chaotic streets; there’s new Kolkata with its plans for massive investment, development and glitzy globalisation. Both live in the mind as ideas, as experience, as reality … But one is the “this”, the other a notion, a plan, a “that”. In the meantime I haven’t seen a single Prada or Starbucks since I’ve been here, though I’ll have to ask. Maybe there’s a plate glass window advertising some global brand or other on some corner somewhere – secreted behind the hectic press of street vendors and hawkers and grand old colonial buildings that are half broken down and half built up. Old Calcutta bustles with life. Maybe it’s there, like the Scotland the nationalists say is there, behind the towns and villages and cities we all live in or have left from or are going back to, or not, just waiting for the moment to show itself, reinvented and fully articulated as somehow other from that worn through, familiar country we already know. The new Scotland. An independent Scotland. Maybe it’s there. But as I go through the streets of this city I see how the past is with us in all its layers, all its stories. “I wouldn’t want to be pushed into being one or the other,” the woman on the train says. And her words echo around me in these faraway streets in another continent, another world that is also, strangely, the same world … As I see, as though walking out of the past to meet me, a very old man leading two tiny monkeys on a silken string. He makes his way slowly, delicately through the darkened streets with his small companions at his side, and disappears around the corner, into the Kolkata night. Kirsty Gunn does not work for, consult to, own shares in or receive funding from any company or organisation that would benefit from this article, and has no relevant affiliations. The twin goals of UK energy policy should be to ensure security of supply for households and businesses, and to ensure the electricity we use is affordable. Unfortunately, the current UK coalition government is failing on both fronts. In particular its flagship initiative, Electricity Market Reform, has led to a hiatus in energy investment. This is very bad news for England. In effect we are now seeing a critical reduction in our spare energy capacity, which will eventually see electricity costs spiral out of control. For London this might well mean the lights going out post-2015. As Scotland exports approximately one quarter of the electricity it generates, this is not such a problem for Edinburgh. In recent years this has been bolstered by a truly world class renewables industry. Scotland now produces nearly the equivalent of 50% of its electricity from renewable energy sources such as onshore wind and hydro. This will increase to around 70% by 2017. I strongly reject Ed Davey’s announcement that if Scotland votes yes then Scottish electricity bills would increase. This can be seen in a comprehensive report that I published with colleagues from a number of universities from across the United Kingdom in December. To summarise some very complex arguments, as a result of the coalition government’s decision to fund new nuclear build, we found that a Scottish government committed to no nuclear build would actually see reductions in consumer electricity bills compared to the rest of the United Kingdom. 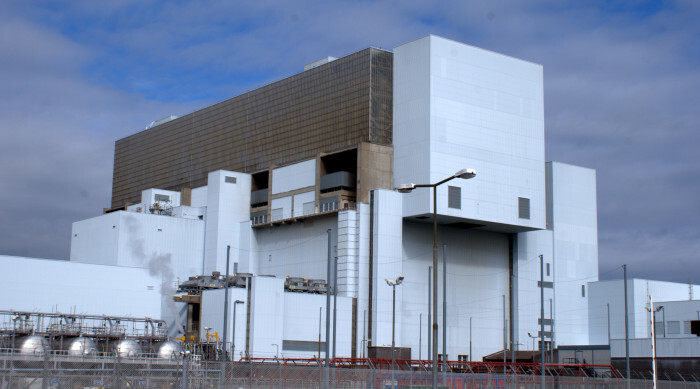 Scottish consumers would not be subsidising the hundreds of billions of pounds of investment that new English nuclear power stations require. Already the Department of Energy and Climate Change (DECC) spends £2.5 billion or 42% of its annual budget on existing nuclear legacy. Of that, £1.6bn is spent on managing the waste at Sellafield alone. In its misguided aspirations the coalition government is now writing a blank cheque for new nuclear. At a time of unprecedented financial austerity this is somewhat astonishing. Under no scenario can I see electricity bills in an independent Scotland increasing along the lines outlined by Ed Davey. Even without an integrated electricity market, Scotland would be able to sell its electricity to England at commercial rates. England currently has to resource much of its electricity requirement from Scotland; there is no alternative source for the majority of it. It is pure fantasy on the part of Ed Davey to suggest otherwise. Scotland offers an excellent model of how to deliver a world-class energy policy. The coalition government could learn much from us. This piece is one of two that The Conversation has published on this subject today. The other can be be read here. 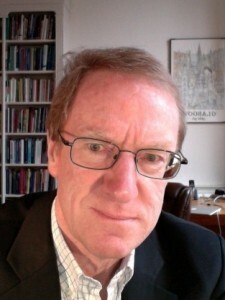 Peter Strachan does not work for, consult to, own shares in or receive funding from any company or organisation that would benefit from this article, and has no relevant affiliations. 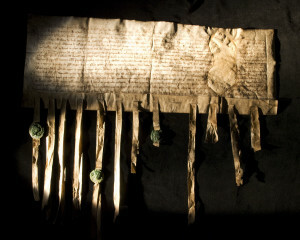 Rare medieval letters relating to William Wallace and Robert the Bruce are to be exhibited together for the first time. 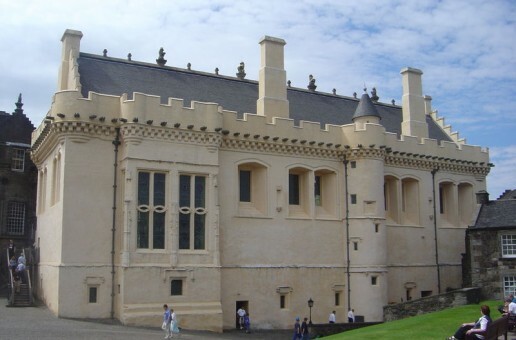 The exhibition entitled ‘Wallace, Bruce and Scotland’s Contested Crown’ will open at Stirling Castle next month and brings together two unique manuscripts which provide a fascinating insight into the different paths taken by these two leaders in securing the Scottish crown. 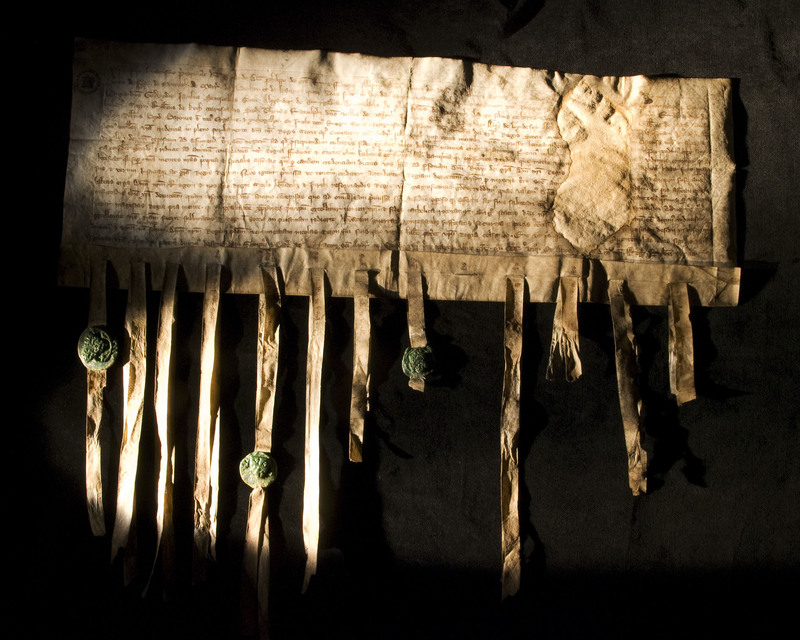 On display will be a 700-year-old letter from King Philip IV of France to his agents in Rome commanding them to ask Pope Boniface VIII to support Wallace. Written in November 1300, the letter was discovered in the Tower of London in the 1830’s and is currently on loan to the National Records of Scotland from The National Archives in London. In 2011 a panel of experts concluded that it was likely to have been in Wallace’s possession, although how and why remain unclear. The Wallace letter will appear alongside a letter to King Philip IV of France. Dating from 1309 it was written by Scottish barons attending the first parliament following Robert the Bruce’s seizure of the throne in 1306. Their declaration of support for Bruce as the rightful king of Scots marked an important moment in the recognition of his crown. The document is preserved in the National Records of Scotland. The ‘Wallace, Bruce and Scotland’s Contested Crown’ exhibition will form part of a series of events at Stirling Castle which will tell the story of the events leading up to the Battle of Bannockburn, which marks its 700th anniversary this year. This will include a living history event ‘The Road to Bannockburn’ and an exhibition of paintings by renowned artist Iona Leishman. Lorna Ewan, Head of Visitor Experience for Historic Scotland, who operate Stirling Castle, pointed out that the castle had “played a key role in the events leading up to Bannockburn. The siege of the castle was the catalyst for Edward II to send a 17,000 strong army to Scotland who met Bruce’s men at Bannockburn so it provides a fitting location to tell the story to visitors. Over the weekend of the 24th and 25th May, the Road to Bannockburn living history event will explore the events that led to this decisive clash. Visitors can find out about the tactics and weapons of the armies and join our forensic team in discovering more about the injuries sustained by the soldiers. The ‘Wallace, Bruce and Scotland’s Contested Crown’, exhibition which is part of the Year of Homecoming programme, will open at Stirling Castle on 3rd May and will run until 1st June. Scots would continue to use the pound as part of a formal currency union after independence, the SNP long argued. But Chancellor George Osborne ruled that out in a recent speech, following advice from Treasury civil servant Sir Nicholas Macpherson. Since then the issue of currency has been the dominant one in the independence referendum campaign. 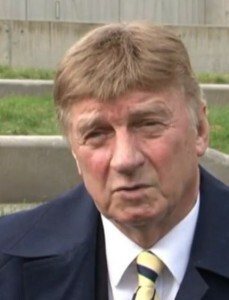 And the SNP’s case appeared to be strengthened when Beijing-based professor Leslie Young criticised Macpherson’s claims and appeared to suggest that currency union was still viable. Members of the Scotland Decides ’14 panel assess the state of the currency debate. The nationalists have lost the currency union argument because if the Treasury and the Bank of England don’t want to share the currency, they don’t have to. This is not to say that Scotland could not continue to use the pound. It could do so without the consent of the UK but this would mean accepting monetary policy made in London for the rest of the UK. It’s really not convincing for the Scottish Government to say rUK [the remaining UK] will give way and share the currency with us anyway. It leaves them in a weak position in negotiation if they do not have a fall-back. It also rules out the euro, which nobody wants to talk about at the moment but many want to leave open for the future. I have not seen many outside the SNP on the yes side who think that currency union should be the only option on the table. There are several other options. One is to opt for a Scottish currency, at least in the longer term. Another is to leave things open and say it will be up to a future Scottish Parliament to decide, although this would be risky politically. The SNP argument that it’s as much Scotland’s currency and so London has no right to say it belongs to them is more of a moral argument than a legal one. If you withdraw from the state, you withdraw from the currency. But the SNP’s threat to not take on any UK debt is certainly a counter argument. The UK has already said it will pay the debt and then ask the Scottish Government to pay their share. That allows the Scottish Government to say they will withhold their share, which puts them in a stronger position. That might give an independent Scotland a battering in the financial markets, but it might only be temporary. Having said that, it’s a kind of nuclear weapon, because it might invite all kinds of retaliation and open up conflicts in other fields. The Leslie Young report was useful because it neatly highlights there is more than one set of answers to the questions posed (and then answered) by Sir Nicholas MacPherson on the key issues surrounding Scotland joining a formal currency union with the rest of the UK. Young implies that the fiscal and monetary rules would need to be sufficiently tight, or the markets would react negatively against Scotland. Hence a key reason against Scotland formally sharing the pound, he suggests, falls away. But using his article as evidence in support of sharing the pound runs counter to the idea that Scotland wants to have its own fiscal levers, particularly around corporation tax. Would the Bank of England be comfortable with that? Macpherson’s letter suggests not. 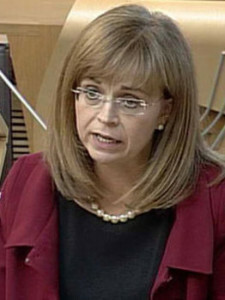 Macpherson also highlighted that Scotland’s banking system is too large for Scotland to be able to provide the necessary guarantees, and would need to rely on the rest of the UK to provide such insurance, which would not be desirable to London. Young suggests this banking issue will not be a problem as he envisages the banking sector in Scotland will become smaller, if the lender of last resort is the Bank of England. Given limited fiscal manoeuvring and a largely local banking sector, it is somewhat unexpected that the Scottish Government is arguing this paper cuts a swathe across the Treasury’s arguments for not having a currency union. Is the Scottish Government really arguing for a formal sterling currency union based on Young’s propositions? Some say the English are bullying the Scots with issues like the currency union, but I don’t think so. George Osborne and the Treasury are entitled to say: “If you guys and girls go for independence and separatism, that’s fine, but these will be the consequences.” This is just stating the facts of economic life. It was exactly the same in 1707. The Scots knew that there would be consequences from not being in the union. One of the reasons why some Scots went into the union in the first place was because there was a threat that England would close the border to Scottish goods or increase the taxes on them, which was actually already happening. There has always been that animosity, that contest and even dislike between England and Scotland. Now that rivalry is re-emerging. There were sensible people around in 1707 who recognised that it wasn’t good for either country. Will the pound save the union? That was one of the reasons why some people supported the union in the first place, including the then monarch, Queen Anne. We seem to be slipping back and reopening some of those festering wounds. It’s not a good place to go to. So if there’s caution about independence this shouldn’t necessarily be interpreted as being “feart”. It’s about being prudent, asking whether an entire breach of the union is worth the dislocation this will cause. If we go for currency union, an English Government that agreed to it would lose the next election. People in England have high antagonism towards the Scots and Alex Salmond. It’s not going to be equal partners negotiating. I don’t think Alex Salmond quite understands what the English think of him and Scotland. Too much debate is intelligent and rational, but at the end of the day it’s perception that counts. The perception is that the Scots are getting about £1200 more per head than England. The more concessions that the prime minister makes, the more support he will lose among the voters. Chris Whatley, Jo Armstrong, and Trevor Salmon do not work for, consult to, own shares in or receive funding from any company or organisation that would benefit from this article. They also have no relevant affiliations. Another battle has broken out in the energy war. 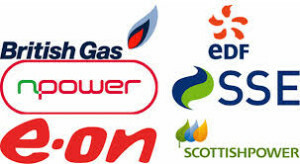 Scottish and Southern Energy (SSE) has thrown down the gauntlet to its competitors, and the government, with a promise to freeze its electricity prices until 2016. So the old Scottish dam-builders, and their electricity board comrades in the south of England and Wales, have challenged the other five companies in Britain’s energy business to match their offer. And they’ve challenged the Coalition government by showing that Labour’s price freeze idea can work. Meanwhile the market regulator OFGEM has cast a smokescreen across the whole battle field by recommending an 18-month long investigation into the whole business of energy supplies by the Competition and Markets Authority. 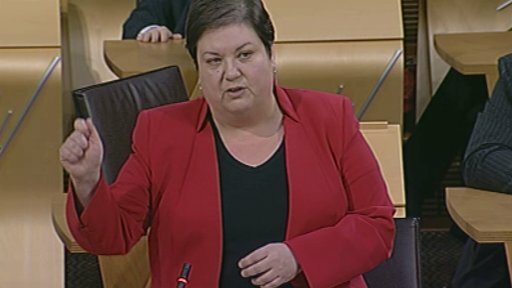 The issue was top of the agenda at the Scottish Parliament when Labour’s Jackie Baillie challenged the first minister Alex Salmond to admit that a price freeze was the best way to protect households from ever-rising fuel bills. “Will he change his mind or will he continue to stand shoulder to shoulder with the Tories in opposing a price freeze ?” she asked, three times. Mr Salmond said the SNP government in Scotland was already cutting fuel bills by £70 a year by agreeing to switch the renewables subsidies from energy bills to general taxation. He went on to welcome the competition inquiry but pointedly added that it should include an examination of the “massive subsidy” being given to the nuclear industry. To me, it all seems like another case of political cowardice by all the parties concerned. The cruel fact is that energy costs are going to rise as the world becomes more industrialised and more populated. Of course the public complain about it – and a quarter of Scottish households are being pushed into “fuel poverty” – but the cruel fact remains. It would be better if the politicians accepted the fact of rising prices and encouraged people to use less energy. Instead, all political parties are behaving like medieval witch-hunters and are hell bent on roasting the “big six” energy companies at the stake. The very fact that there are six of them, many of them global companies, indicates that there is no monopoly. The competition inquiry will be hard pushed to find any other large-scale industry which is more competitive. Britain actually has some of the lowest energy prices in Europe. They went up just 4 per cent last year, not a great deal more than inflation. The average household bill is £1,260 a year. The profits of the energy companies are running at around 5 per cent, not a lot considering the amount of capital invested. SSE, for instance, has invested more in energy projects and its distribution network than it made in profit in each of the last five years. But now it has given in to political and consumer pressure and been forced into a price freeze which means it can no longer continue its wave and tide development programme. It’s all so short-term and so short-sighted. If you think the energy companies are behaving badly, consider the banks. We had another example of their cavalier approach to their customers this week in the case of North Sea oil worker Richard Durkin. 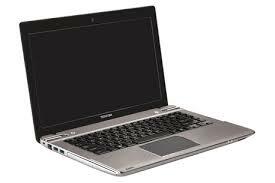 He bought a computer from PC World in Aberdeen with the help of a credit agreement for £1500 with HFC Bank, part HSBC. The following day he took it back, realising it did not contain an internal modem. But the bank continued to collect his monthly payments and when he fell behind, they put him on a credit blacklist which he could not challenge. This week the golfing authorities, almost as fast moving as the legal system, have entered the 21st century. The governing committee at the Royal and Ancient Golf Club in St Andrews has written to its 2,500 gentlemen members urging them to vote in favour of admitting women to the club for the first time in its 260 year history. The vote – in person only – takes place on 18th September this year. And if that date seems familiar, it’s the day Scotland decides whether it wants to remain part of Club GB or perfect its golf swing on its own. Celtic Football Club, meanwhile, is wondering if it is to continue playing on its own or whether it can compete in a new mini-European league which has just been given the go-ahead by UEFA. It won the Premiership title with seven games to spare when it beat Partick Thistle 5-1on Tuesday night. Its arch rival Rangers still have a year’s probation to serve in the Championship league after their financial collapse and this week we learnt they are still making a loss of £3.5m a year. All this, I’m sure is worth discussing more, but I’ve run out of this week’s supply of energy. The latest quarterly confidence report from the Federation of Small Businesses shows that small business confidence in Scotland has risen to match the UK average. The organisation’s Voice of Small Business Index shows confidence rising in the first quarter of 2014 to its highest level since the data series began at the start of 2010. The Scottish confidence index measures +36 points this quarter, up 15 points since the last measurement, and is now slightly higher than the UK average of +35.7 points. 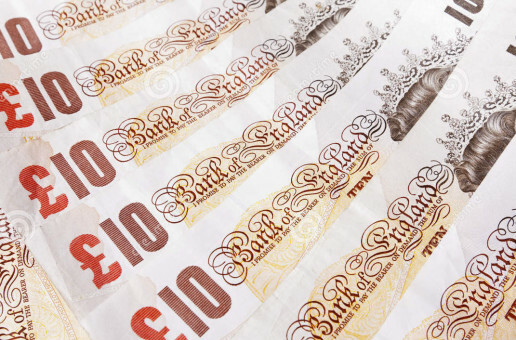 Further, a net balance of 18 per cent of Scottish small firms expect profits to rise this quarter with a 31 per cent balance expecting a turnover boost over the same period. More than half (52%) of all Scottish small firms now plan to grow over the next year with more than a quarter (27.6%) planning to increase capital investment. Around one in seven (12.9%) small businesses now report that credit availability is good or very good, compared to around one in 15 (6.6%) who said the same in the first quarter of 2013. In the next three months, a balance of 7 per cent of Scottish small businesses plan to increase staff numbers. However, more than a quarter of Scottish businesses (27% this quarter) continue to cite access to skilled staff as a significant barrier to their growth. In the view of the FSB’s Scottish policy convenor, Andy Willox, “It is great news that Scottish small businesses are now as bullish as their counterparts elsewhere in the UK. We need to turn this vigour into growth and jobs – and we must see this trend continue for the remainder of the year. The Caledonian Mercury is committed to independent, intelligent, in-depth, online journalism. What you see is what we can achieve with no investment, no support from advertisers and no subscriptions. It is not a finished product. It is a statement of intent - a crusade to give our country the journalism it deserves. If you believe in what we’re trying to do, if you believe that the country which gave the world the Enlightenment deserves a vibrant media, then we need your help, your money and your involvement.